How to change my PC’s IP and DNS Server address for WEB REPORTER (Time Clock)? How to change my PC's IP and DNS Server address for WEB REPORTER? For those who can access the web report from the outside (Internet) but cannot change the router settings (i.e. cannot change the port forwarding settings of the router). 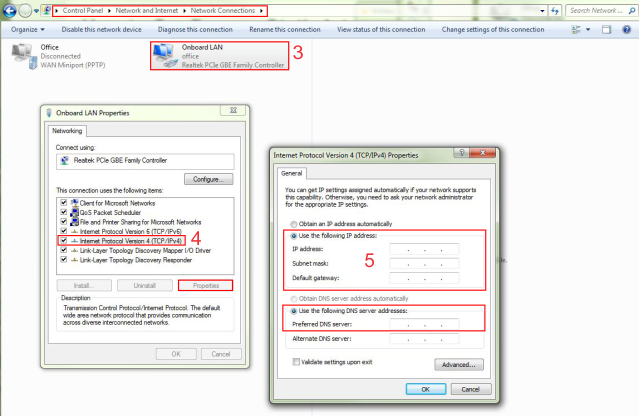 You can change the IP address of the web reporter PC manually. How to check out my PC’s IP and DNS Server address for WEB REPORTER? Click Start Menu > Control Panel > Network and Sharing Center. 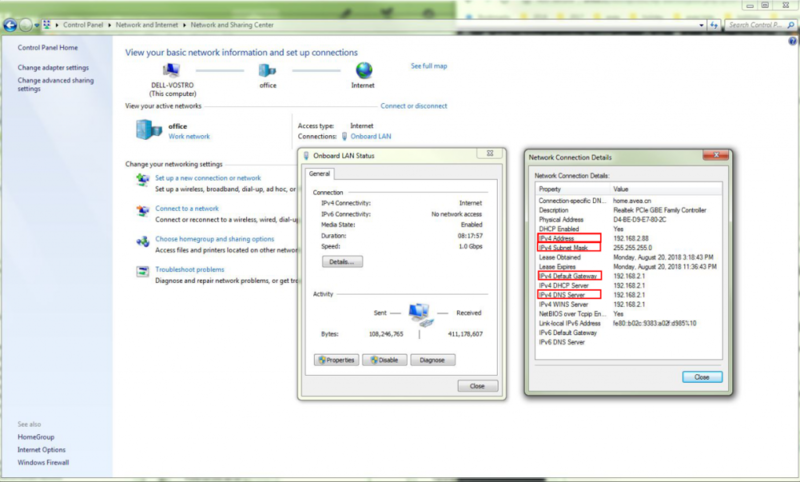 (For Windows 8 and higher, search for and open Control Panel and select Network And Internet). Right-click on Local Area Connection / Onboard Lan and click on Properties. Select Internet Protocol Version 4 (TCP/IPv4) and click on Properties. Select Use the following IP address and enter the IP address, Subnet Mask, Default Gateway. and DNS server. Click OK and close the Local Area Connection properties window.